Today it is all about getting the newer cars on the market and there are too many of them to choose from however today it is all about the best. There are many different car manufacturers out there creating cars, some do not often get the acknowledgment that they deserve but one which should be is Audi, the new Audi A8 W12 is going to be one of the latest cars from Audi that is set to grace the automobile market across the world. However this A8 W12 has already been launched in many parts of the world but one part that has not managed to make it quite yet to the launch is India. The Indian market is really a booming business and everyone in India has been waiting for this new launch of the latest Audi. 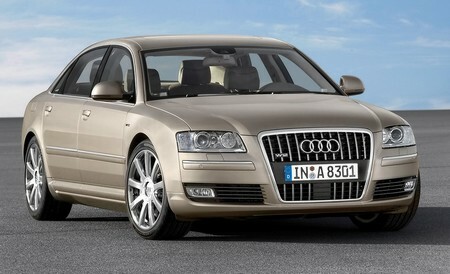 The Audi A8 W12 is more than likely to be released in early October of 2011 though the price has not as yet been released but it is expected in the same region as the new Audi A6 more a little more, however the price will have to be waited on for a little longer. Initially the Audi Company produced the A8 with a 4.2 Litre V8 petrol engine that is going to reach a whopping three hundred and seventy two BHP that is going to come with a high eight speed transmission also but Audi India actually wanted to launch this with another engine. In fact Audi India did actually launch the A8 Audi with a 4.2 FSI engine but it is going to be with the V8 petrol engine; so in October the W12 engine is going to be launched then. With the 6.3 litre engine, it will manage a great four hundred and sixty one NM of torque as well as reaching five hundred BHP also with this engine. The Audi A8 has a great multimedia interface (MMI) which can be used easily to search through the phonebook when looking up some old contacts; this MMI has black panel technology built in so everything is so easy to search and use. Any passenger whether in the front or back seat can use the music system since there are multimedia interface controls built into the back of the car also. 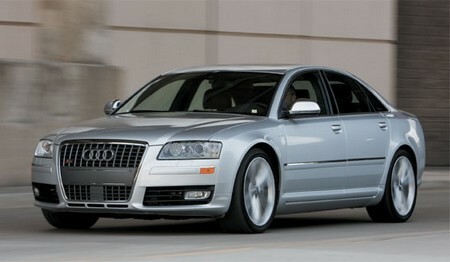 The Audi A8 has been cut down with its weight but it actually a little bigger than many of the Audi’s previous models. The new A8 is really one car that has a lot of potential in deed as the reliability factor is impressive producing only the highest of quality but of course it really does better than that; this makes it possible to be more energy efficient and with the price right it is surely to be the perfect car for anyone. Audi has made sure that all cars from the A8 W12 range are going to be quite comfortable so that no matter if it is the driver or the passengers, they are surely to be quite comfy when driving. This is going to be quite more efficient of the fuel capacity which is what is very much looked for in many of the cars today. Of course there are going to be petrol engines with each with this eight speed transmission but the biggest part of the car is that this is really one of the best cars for comfort. The Audi will offer the best ad high grade tyres which will be all tested and inspected before the car is released and there will be the maximum amount of torque to activate rear wheelbases. Now that India is getting a new release that the A8 W12 will be getting an upgraded engine so that it can reach its full capacity with five hundred BHP. There is the option that the car could have good and proper adjustable car seats which may have some reclining options which means that both the passenger and driver will have enough space in the car so the maximum capacity of comfort and roomy. Even when music is playing in the car, the speakers and sound system is not going to be that close to the person listing as the amount of room left in the room will be sufficient to stop harming anyone’s hearing. The Audi A8 W12 is going to have leather upholstery on the seats and floor carpets, as well as an easy to use steering wheel and indoor lighting.